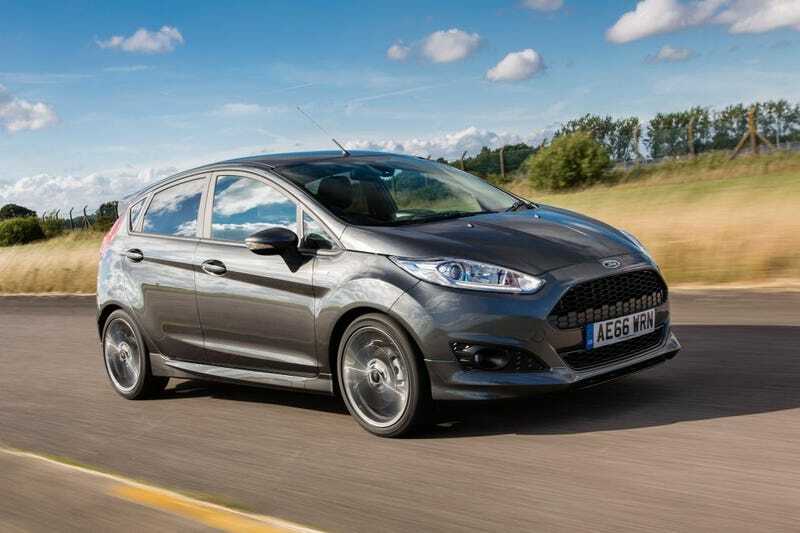 Has anyone gone from a fun RWD car to a Fiesta ST? So in my search of a new car I ended up testing a Focus and Fiesta ST, as well as an Ecoboost Mustang. Long story short, I loved the Fiesta but I can’t make up my mind if I really want it. Next Spring I’m going to commute to my next college which is a good 40-50 miles away and I don’t want to put my Mach 1 through that. Or me for that matter. The original idea was to put the Mustang in storage and get a new car but when that’s all said and done I will have to pay a minimum of 600 dollars a month. I can’t quite afford that through college. So unfortunately the Mach is going to have to go. I knew I would like the ST but I was shocked by it, I could beat on it a little bit without breaking the speed limit. I was smiling the moment the turbo was spooling. There was virtually no body roll and I probably scared the salesman. It may have been the best car I’ve driven so far. So that brings me to my question, has anyone gone from some sort of fun RWD car to the ST and regret or miss anything? This car is temporary and will let me get something very nice down the road, but it still bugs me. I’m giving up a car I have loved and put so much time and money into. I feel like I will regret this. I think every time I see some sort of muscle car down the road I will feel a bit of envy. Granted, when I was driving the car all I could think about was how much fun it was. But has it worn off? Also Recaros or no Recaros?